In today’s modern age where faster always seems better, fly fishing is like an island in a river with a strong current, sometimes you need something to stem the flow. Find peace and tranquility in a stone cottage on a farm with 15 pristine dams boasting hungry trout. While sitting on the deck, listen to the sound of fish eagles crying while enjoying the calmness of the trickling water from the trout dams. Natural spring water feeds the trout dams and then runs out into the valley, complete with water falls and diverse plant habitat. The crackling fires create an immediate atmosphere, even in a place you’ve never been before, and this is exactly what your first experience will be like. The farm has historical significance. 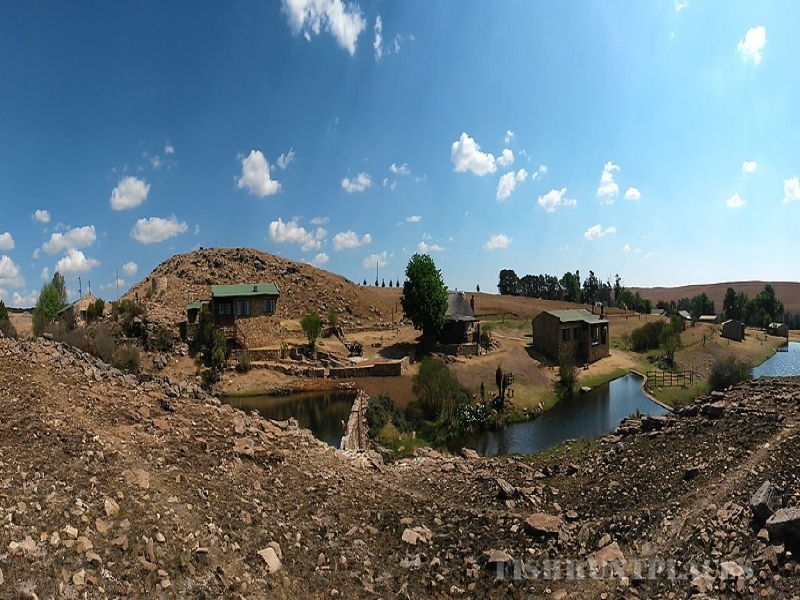 In 1901 it was the site of the “Slag van Vlakfontein” that eventually formed part of the second Anglo Boer War, and today the views from the trenches gives you a nostalgic experience of what went on. The farm still has trenches where the soldiers lay waiting. From the top look out point on the farm you can view the surrounding towns of Waterval Boven, Dullstroom and Machadodorp. Apart from the fly fishing and historical walks of panoramic views, the farm boasts activities like clay pigeon shooting, high altitude training, mountain biking, bird watching, picnics, romantic breakaways, friends spending quality time. Group bookings can add activities like Tug of War, Soccer, Volleyball, Fly tying and Basic Fly Fishing lessons. 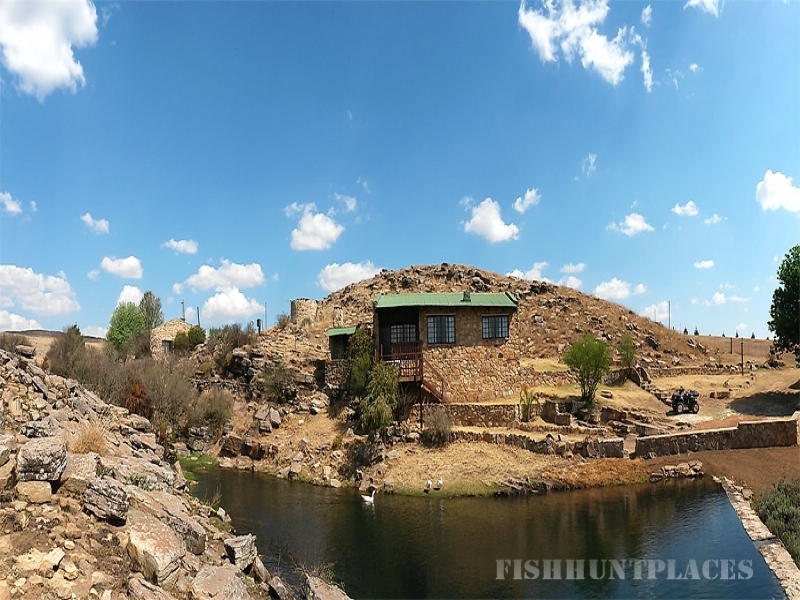 Situated halfway between Balfast and Dullstroom, Treeferns Trout Lodge is ideally positioned to visit the picturesque town of Dullstroom. Everything lives up to the excellent reputation of the venue. The regular stocking of the dams is no doubt part of the reason for the popularity of the lodge. Sufficient Aquatic life so the trout are fed naturally, the trout are wild and hungry. The dams are stocked regularly with fish that are 1Kg and up. 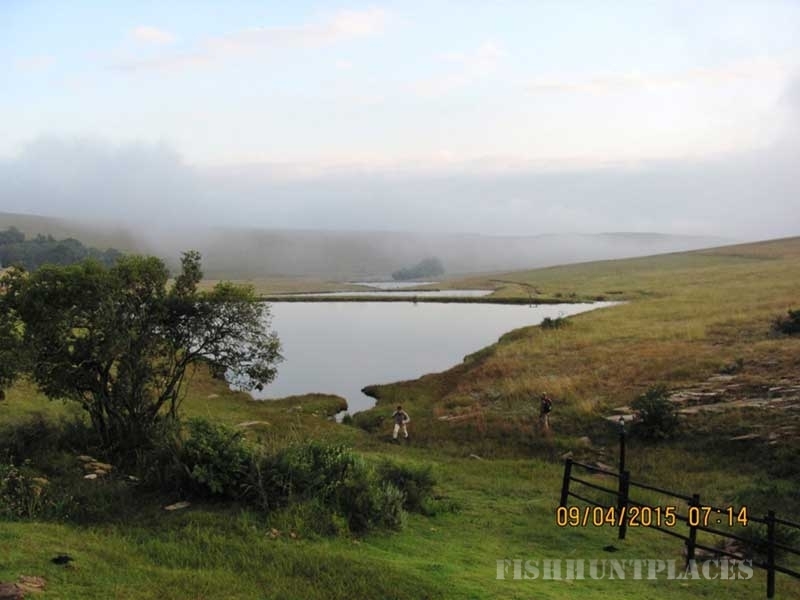 Although our dams are well stocked, the size of our dams allows the angler the experience of wild trout fishing! We do not feed the trout. Natural spring water feeds all 15 dams and the constant overflow ensures the temperatures allow fly fisherman to fish all year round. Panoramic views allow for breathtaking sunsets.